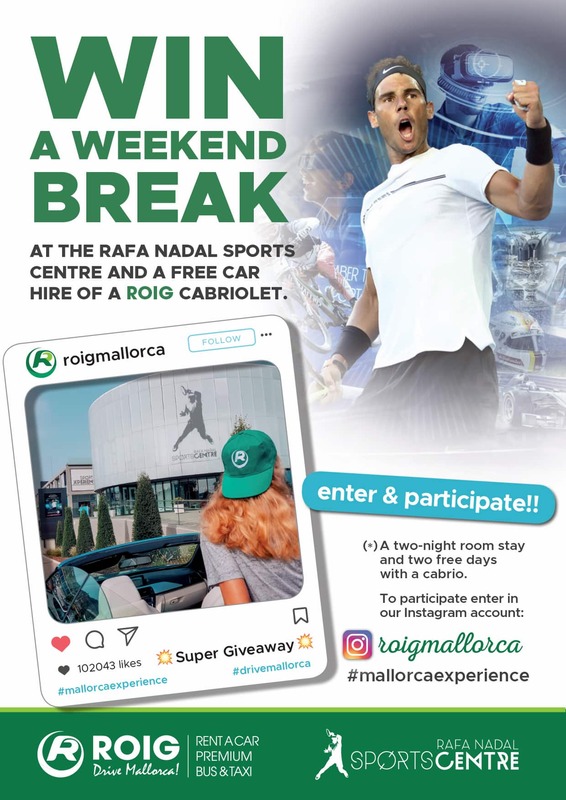 WIN A WEEKEND BREAK AT THE RAFA NADAL SPORTS CENTER + FREE CAR HIRE OF A ROIG CABRIOLET. You have until 23:59 on 18th August to participate! On August 20th we will announce the winner.